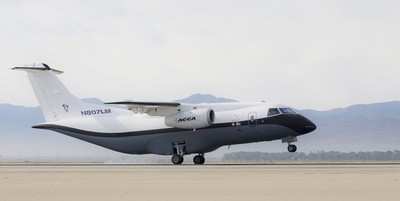 New Plane "A Real Pleasure To Fly"
Hailed as a "new era" of aircraft manufacturing technology, the Advanced Composite Cargo Aircraft (ACCA) flew for the first time June 2nd at Palmdale, California. The aircraft is the product of the Air Force Research Laboratory, and Lockheed Martins' "Skunkworks". 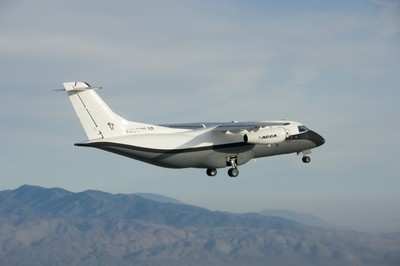 The ACCA is a modified Dornier 328J aircraft with the fuselage aft of the crew station and the vertical tail removed and replaced with completely new structural designs made of advanced composite materials fabricated using out-of-autoclave curing. The ACCA fuselage is wider and stronger to accommodate military standard 463L pallets and features a cargo door and cargo ramp. The vertical tail features integrally stiffened skin. Despite its larger size, the materials and processes used for the fuselage reduced the number of parts by an order of magnitude compared to the original metallic design, down to about 300 instead of 3,000, and drastically reduced the number of mechanical fasteners from 30.000 to about 4,000, program officials said. 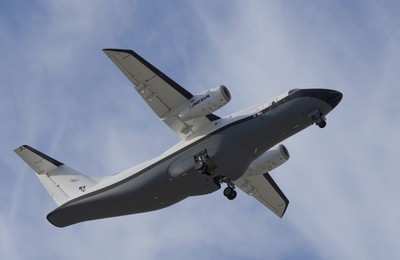 Barth Shenk an ACCA program manager from AFRL's Air Vehicles Directorate at Wright-Patterson Air Force Base, said the flight is could represent a wholesale change in the way airplanes are built. 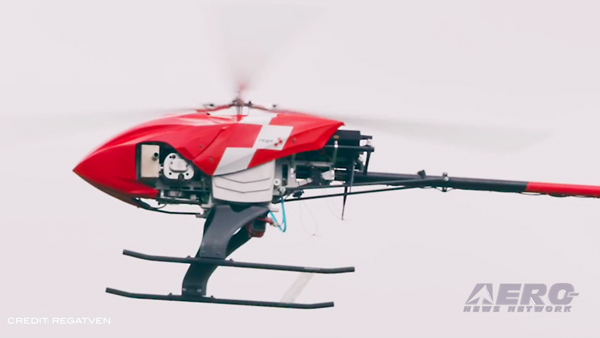 "This has the potential to change aircraft manufacturing as we presently know it, for the better. 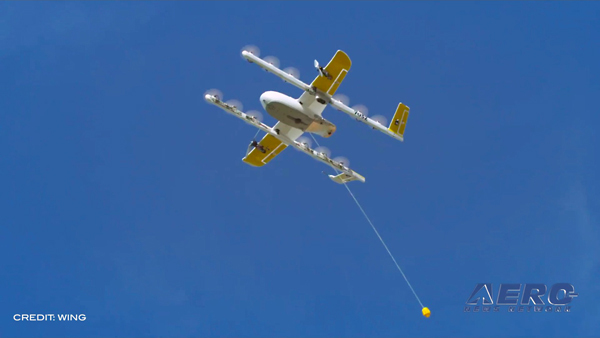 Today's successful flight is the culmination of years of teamwork between government and industry labs involving hundreds of dedicated researchers across the country to fundamentally change the way we make airframes." 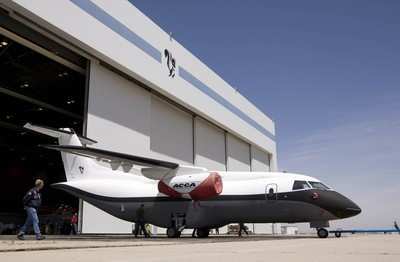 Mr. Shenk said the ACCA isn't designed to be a prototype for a small airlifter or any other aircraft. 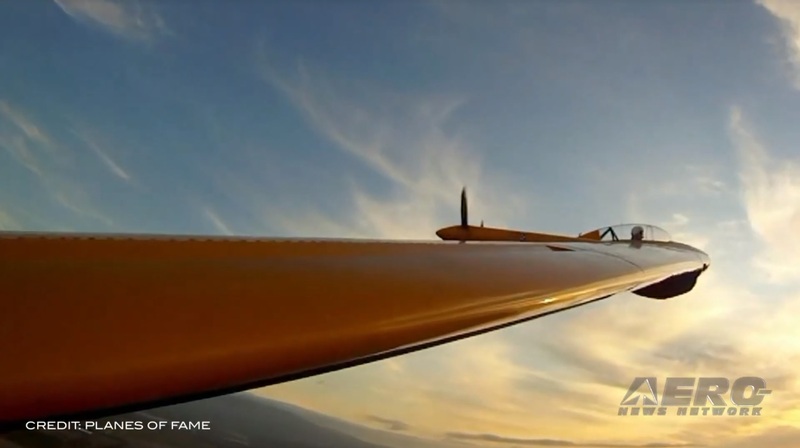 It demonstrates proof of concept technology for composite manufacturing processes in a full-scale, certified aircraft. 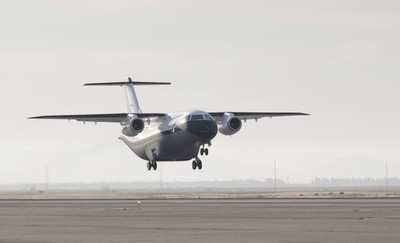 In an effort to demonstrate and test the technologies while keeping costs down and on schedule, the small team of Air Force and Lockheed Martin engineers elected to modify the high-wing Dornier jet, mating its existing engines, wing, landing gear and avionics systems to the new composite structure. Lacking traditional fasteners like rivets, the composite structure is inherently aerodynamic. Mr. Shenk said he believes composite structures will address many of the corrosion and aging issues associated with all-metal aircraft, reducing airframe lifetime maintenance. Lighter weight of composite materials can also contribute to increased cargo capacity, aircraft performance and lower operating costs. The real game changer, however, is the maturation of manufacturing processes which collectively dramatically reduce the cost and complexity of building large airframes. After the 87 minute first flight, Rob Rowe, the Lockheed Martin lead ACCA test pilot, said "Today is one of those perfect days where I get to be the first to fly a new aircraft and everything goes exactly as planned. The aircraft was a real pleasure to fly and we experienced absolutely no issues."